I will start with a project, as the name suggest, with great ambitions. Let see where it leads us. Licence of the project is GPLv2. This means that when you modify this set or build upon it or its parts, you have to provide the source files of your work. If you incorporate something from this into your project then now your project has to follow GPLv2 licence too. This means that this licence is viral, so please, handle with respect. On the positive side this means that you can use and adapt all these creations freely given of course that you follow the licence terms. This also means that this set can only include works that are compatible with the GPLv2 licence. In general, the work should be licensed as GPLv2 work or work should be in public domain. This means that if you are author and your feel that your work belongs here then you have to licence your work accordingly. This also means that separate authors permission is not required if the permission is granted by GPLv2 licence or when the work is in the public domain. This also means that if you feel that something from this set would be great in the one you are creating (or you think that author of that set should also include it in its set) then you are free to use it without special permission given your project licence is compatible with GPLv2 (unless you are reusing work that has been in public domain previously, derivatives of the public domain do not have to follow GPLv2 licence terms). This especially means that when you do not like certain aspects of the set then you are free and encouraged to modify its source to have the version that pleases you. One of the functional requirements of the set is that the buildings must have consistent floor heights. This is so far only hard requirement. This is first post of the thread and will contain latest version of set. Including the source of the set. Please refer to the individual posts to see the intermediate versions. Current version is 0.1.1. This is still a very alpha release. This work is based on the previous work of tadeusz and Quast65 who were generous and smart enough to licence their work under GPLv2. Polish Building Set by tadeusz was so far to my knowledge only openly available building set based on NML and Quast65 wonderful templates made the slicing up the graphics work of the past. Last edited by luxtram on Thu Sep 15, 2016 12:27 pm, edited 13 times in total. 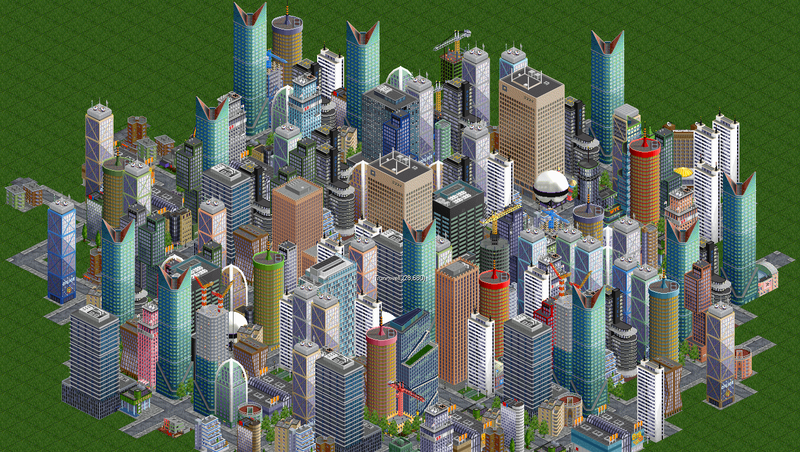 First version of the set contains 12 high rises. In fact some of them are named as high rises, some of them as skyscrapers. I have done this according to my gut feeling. This also means that 1.2% of the set is completed. I start with my own creations, but I would like to include mods of the other buildings. To be honest, I really love modding and actually all these buildings are mods of my own work created for different purposes. This is also one of the motivations to start with a new set. Another motivation is to have a generic building set that is not strongly tied to a specific theme. Here is the preview of the new additions and grf and source of this version. Feedback and suggestions are very much welcome. Will need to try this out alongside TTRS, but I'm already in love. Great job! Thanks! One thing that I noticed is that these buildings are quite thick, i.e. they are wall to wall when stuck together. That would probably look odd. I probably have to trim them a bit more to avoid this problem. At the moment I recommend to use 2x2 grid layout to avoid this problem. 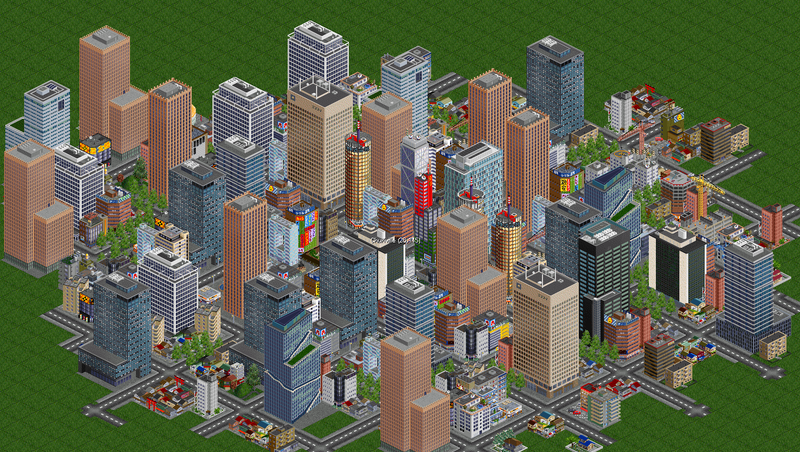 I also noticed that these buildings are rarely built when the town expands (I simulated in the scenario editor). So I have to check this too. If you notice anything else odd or have a comment about these issues then feel free to let me know. The wall-to-wall effect can prove quite interesting with buildings that fit the aesthetic, but I agree for those that don't it might be a good call to reduce that effect a little (haven't had the chance to test it yet, though, so this is only an opinion). I always use the 3x3 layout so I think it'll be OK. Does the expansion bit also affect existing buildings which are replaced as time passes? If so then it's doubly important to adjust this, otherwise earlier era games will be most affected. Will do as soon as I get home. - The buildings are 2x2, which makes them quite big overall, bigger than anything I've seen in building sets. Therefore, matching these with existing sets will prove difficult, and even default houses don't fit in very well. Thus, I feel the set will need to grow larger and ideally be used standalone. x TTRS felt the most harmonious with 1000, since it provides plenty of equally tall skyscrapers in the modern era. Their styles, though not the same, are not that different either, providing a good threshold of likeness. TTRS does use 1x1 skyscrapers, though, which can clash a bit, but since it also causes so much skyscraper spam anyway, the effect is mitigated considerably in the latter years when you have high-rises everywhere. x Both the Swedish and the Polish sets employ low height skyscrapers, so they will not match in that department, however their styles felt quite compatible with 1000 (the Swedish set more so than the Polish, which has some distinct houses and colours that don't fit as well). 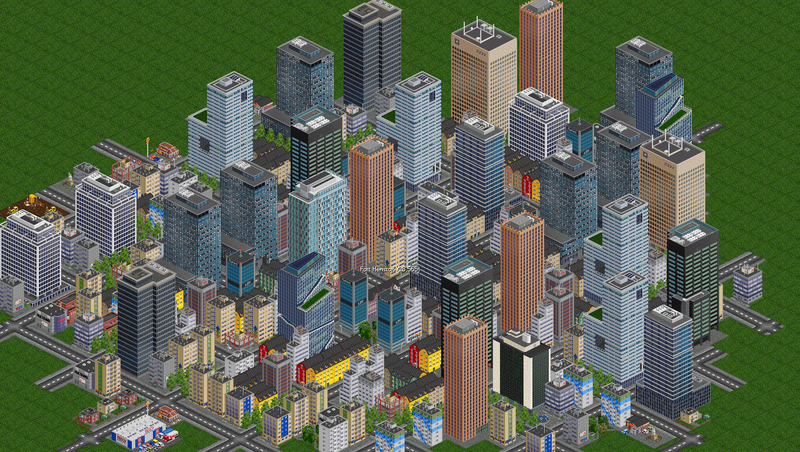 In particular, you can achieve a neat effect of having plenty of smaller office blocks along several really tall towers. Palette harmony also seems to reduce the effect of the height clash. x The Japanese set, as it employs only a handful of second-highest skyscrapers, does not achieve the same effect of TTRS, and because 1000 seems to steal the limelight quite a bit with it and hog all the real estate, you can't achieve the same effect of Swedish/Polish either. It felt like a bad match IMHO. x NACS just clashes way too much, sadly. Its distinct style not present in other sets makes it a hard fit with 1000's modern skyscrapers, resulting in a total clash of old and new, classic and modern, browns and blues. Ironically, 1000's clay-coloured buildings would've probably fit neatly along it were they in the same scale. I really cannot recommend this combo unless the clashing effect is being specifically sought out. x Other sets were not tested either because they were too small, or because I didn't find them. - More so than the style, it looks like the size is truly the deciding factor when combining this set with others. Most sets use 2x2 only for landmarks and such, and as this set establishes a new standard that older sets have yet to explore, it will be a good while until new sets are created which use the same style (SAC's fabled INFRA set comes to mind). You're in the vanguard here, so it might feel lonely for a while. - I noticed that the buildings seem to pop up between years 1 and 9999, but not beyond year 10000, at least in the editor. Granted most games will probably never reach such a year, however, for the sake of coherence, if the fix is simple, I'd recommend using OpenTTD's upper year limit (or close enough), which IIRC is 5000000 (year 5 million). - A question: as this set grows, are you planning to provide early era houses too like TTRS does, or is this planned to be modern era-only (if default houses are not used)? I don't really have anything else to add graphics-wise. I love the style, and I think great things can come from this. As for bugs and such, only continued use will tell if there are any, and I'll be sure to report them here. Beautiful set of various buildings. Excellent done. Great job. Similarly as with bridges in another topic, I look forward to new updates. Success in development, good luck! Some nice work Luxtram, like how you've edited your previous work to create the buildings for use in a building set. look forward to see how this grows. First I thank everybody for the support. This update contains 6 two tile apartment houses. All buildings come in two versions: in 2x1 and 1x2 tile orientation. You can see in the following screenshot how you could for example use these buildings. This screenshot is composed using the "Fund new house" patch in the scenario editor. Main amount of the buildings are from the Swedish houses and from TTRS. From this set are three skyscrapers and three 1x2 white houses in the middle. I now try to address questions and comments raised by Kalen. First thank you Kalen for this comparison. It was very interesting. This set indeed tries to fill the big cap in peoples hearts left by the desire and wait for the bigger buildings. But it will not contain only big, but also smaller buildings: apartments, offices, individual houses etc. The main coal is to bring greater variety of beautiful buildings into the game and indeed raise a new standard. I think that this set can be combined at least with TTRS and Swedish houses, at least by carefully selecting buildings from these sets as can be seen in the above screenshot. I can not criticize the Polish building set as this set can be considered as the mother of this set, but I agree that it is hard to combine it with NACS or Japanese set as the color usage is quite different. In principle, if my own graphics will be exhausted (but I still have plenty of half finished buildings), I would like to include hand picked and perhaps customized buildings from TTRS and Swedish houses and even from other sources if the licence would allow it. I am not sure that this set can yet very successfully used when the towns are automatically generated as the generator does not pay attention to the beauty aspect. Another reasons behind this is that many houses in this set would be wall to wall, even skyscrapers and would require additional elements in-between the buildings. I would not pay attention to this at the moment, but this would be something I at least would like try to address in the future. I also do not think that highrises from other sets could be very successfully used along with this set, as their sizes look odd in comparison with this set. But peoples tastes are of course different and what might look odd for me, might be perfect for somebody else. I will try to sort out the coding issues later, but these raised here were noted. Another thing to pay attention is the balance of the habitants in the building. Unfortunately only 1 byte is reserved for the habitant count and its maximum is therefore only 255, what is definitely too low for the highrises. 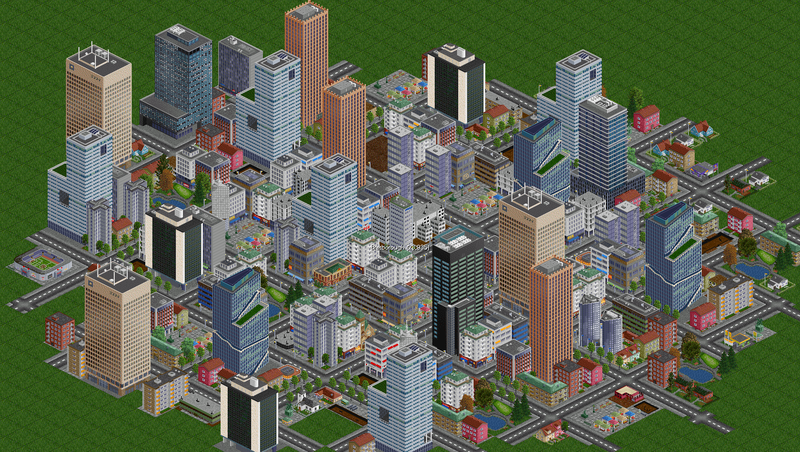 I set the large buildings to maximum (255) and apartments to 70 at the moment. I am now working on incorporating more of my drawings into this set, so please stay tuned and patient. Last edited by luxtram on Thu Sep 15, 2016 5:40 pm, edited 2 times in total. like how you've edited your previous work to create the buildings for use in a building set. Thanks! This was quite refreshing, and I think that there is still a lot of potential even in these buildings (for smaller size houses, or even skyscrapers) with a little of additional thought, as there is no reality restriction. You can go from small to big (as you may have noticed) and from big to small. And I am not restricted by one specific area. This update contains 6 two tile apartment houses. Those look gorgeous! I agree that town generation can ruin the aesthetic a little, but that's just something we have to compromise on. Oh, I wasn't criticising the Polish set, either. The set stands absolutely great on its own. My comments, and the point of my comparisons, were merely to see which sets combined well with 1000, so that for the time being we could use them together, rather than just using 1000 plus default houses. Whether a set matches well or not isn't any set's "fault", as this isn't criticism at all; just a matter-of-fact observation for our own gameplay purposes. It's not impossible per se to draw the buildings in such a way that they look best W2W but still acceptable otherwise, but I don't know just how easy or realistic that might be. Maybe that's another thing we'll just have to compromise on. There's also NewObjects, but that might just overcomplicate things. But honestly, this set is picking up so much and turning out great, I really have to thank you for all the work you've done here. I think the community will definitely grow richer with all your efforts. Haha, I did no think so. I just attempted to make a joke considering that I based my set on the code from the Polish set. Now if I am honest, its houses are either a bit dull or a bit too saturated but are still quite interesting. Especially after some color grading. Thank you. My next focus is on the medium height town buildings, but it will probably take some more time, as I have to focus on my other work on the coming weeks. I must say, those buildings look like things of beauties, especially with the roads. If you plan on adding period buildings I'd definitely use this. I am really glad that you like it so far, but could you elaborate a bit what did you mean under "period buildings"? Could you give some examples? I'm assuming he meant buildings from different eras. Modern skyscrapers, old skyscrapers (Empire State building, anyone? ), other old buildings. Modern skyscrapers, old skyscrapers (Empire State building, anyone? ), other old buildings. Right, I got it. There will be older buildings if I get so far, so you have to wait a bit, but if this is a show stopper, then I might add some. I do not have problem with that. Now, about old skyscrapers. There are few problems with this. First, I do not know any old ones except NYC, and this would tie the set to one specific region that I would like to avoid. While many other buildings would be also mostly based on the real life examples, then these buildings would be very distinct. I have to think about it but I do not feel good about it yet. Well, maybe a supplementary grf would solve this. Another problem is that I really like to keep the floor heights consistent, but most very famous skyscrapers are very heigh and there is the 256 pixel limitation in the game. Also the buildings would just feel enormous compared to the others except of course if these are seriously stylised. Well, this can be done with some effort and could look relatively nice, so in my eyes only problem mostly is the height limitation. Here is an example. This is based on the Chrysler building. I made it a lot thinner and lower to fit it into the game, but it still is about 500 pixel high (please mind that it is a rough sketch to give an idea, I had to copy paste various pieces together to play with the feeling, and I only recently got the top more or less into the right proportions; this has been WIP for quite long time already). On the right is is what happens when planes is supposed fly over of it. There is also heavy clipping (that may come from my grf coding, but still some will remain). This means that very likely the result would be not satisfying unless the game code is altered (that can be difficult). To conclude, there will be historical buildings, or rather historical looking buildings, as I try to attempt to not tie the set to one specific region. The height problem must be solved first to include some of the buildings. Do not worry, I did not interpret it like this. But I liked to evaluate and explain the possibilities. The above building is something I would like to have in the game (but possibly not exactly in this set) but only in the presented form and not in any smaller downscaled form, what is really not possible until the game code is updated accordingly. I am actually open to the ideas about the buildings in the set. 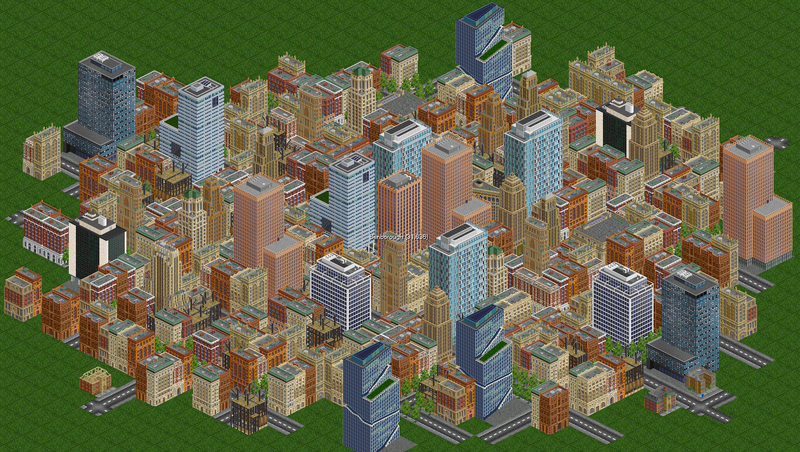 I will probably get through my backlog of the half finished buildings first (in the 50+ range). While I don't mind taking influence from buildings such as Chrysler or the Empire State Building, I would like a more generic set. It should be possible to start a game in the 1920s/1930s and find a city with some nice looking old style skyscrapers influenced by these buildings without really looking too much like their real life counterparts. Artistic freedom isn't a bad thing! EDIT: I went and found some photos one could use as inspiration!